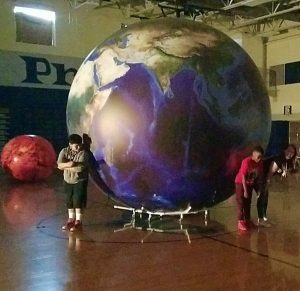 Northeast Middle School Hosts Orbit Earth Expo! 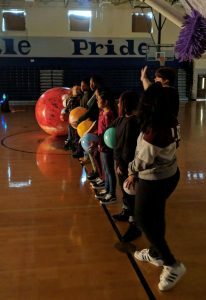 CHARLOTTE, NORTH CAROLINA – SparkPoint Innovations teachers Tracy and Anna were super excited to meet the 6th graders of Northeast Middle School! 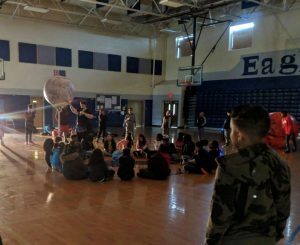 We had the best time exploring tectonic plates, travel, eclipses, moon phases, moon rotation, tides, scale, seasons, the planets, and the food chains. We traveled the word from Africa to Australia, from the Pacific Ocean to South America! It was so much fun to have a full 90 minute block to cover so many areas of the curriculum! Could you believe the size that our earth would need to be to be accurately proportional to our sun model! Makes you feel kind of small, doesn’t it! Thanks for letting us spend a day with you, Northeast! We hope you will remember Orb and use the reference on your next test! Hope to see you next year!